Exciting News! New Etsy Shop! 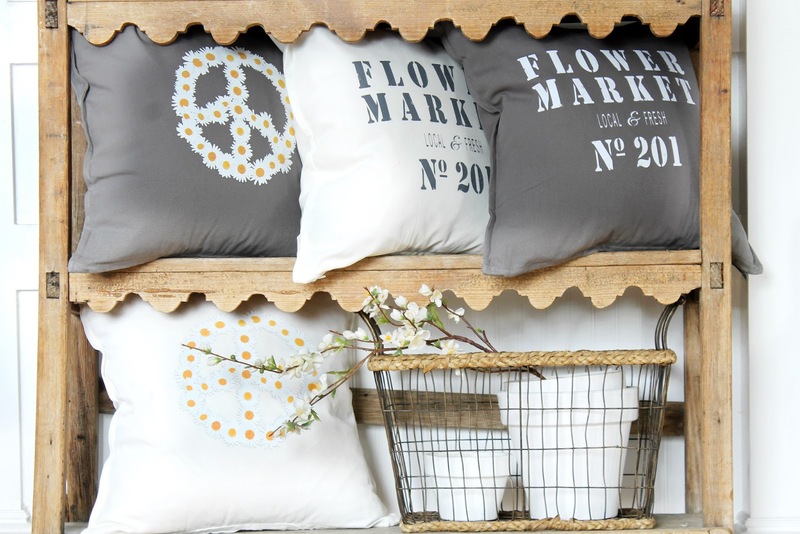 I collaborated with my sister, who owns a printing company, Berkley Ink, and together we came up with some adorable Spring pillow designs that I will be selling in my new ETSY Shop!! 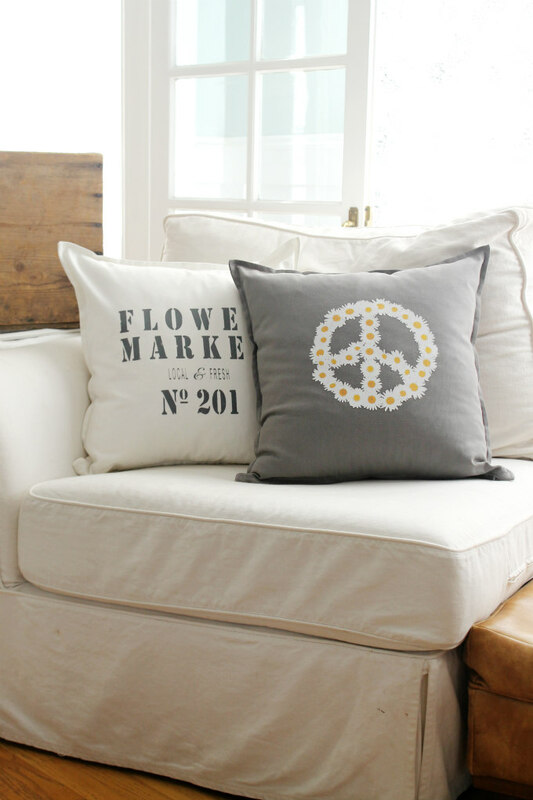 I woke up one morning with two designs in my head; a flower market logo and a peace sign made up of daisies. It was a kinda random thought but I knew these designs would make really cute pillows, so I contacted my sister and asked her if she would help me create them. After a few back and forth messages, she was able to create exactly what was in my head. It was so exciting to see my vision come to life. 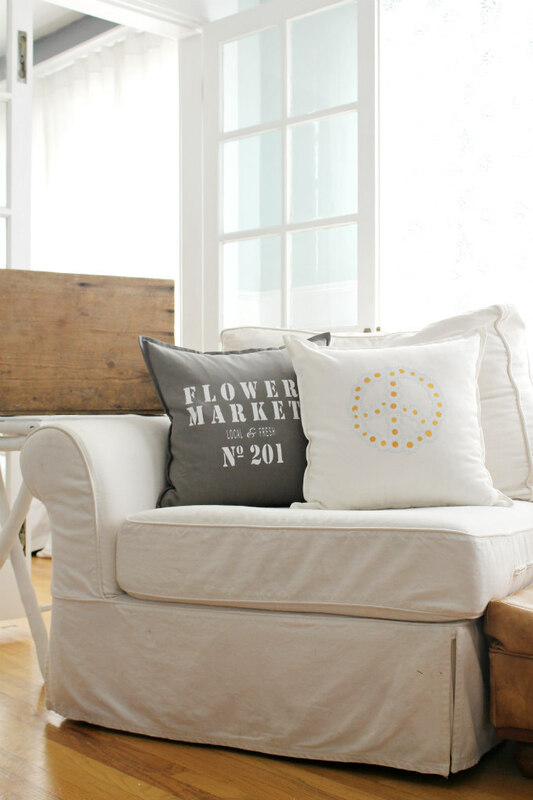 I am in Love with these pillows! And I figured you might be as well. So I had my sister make up a few extras so that I could list them in my ETSY shop for you. 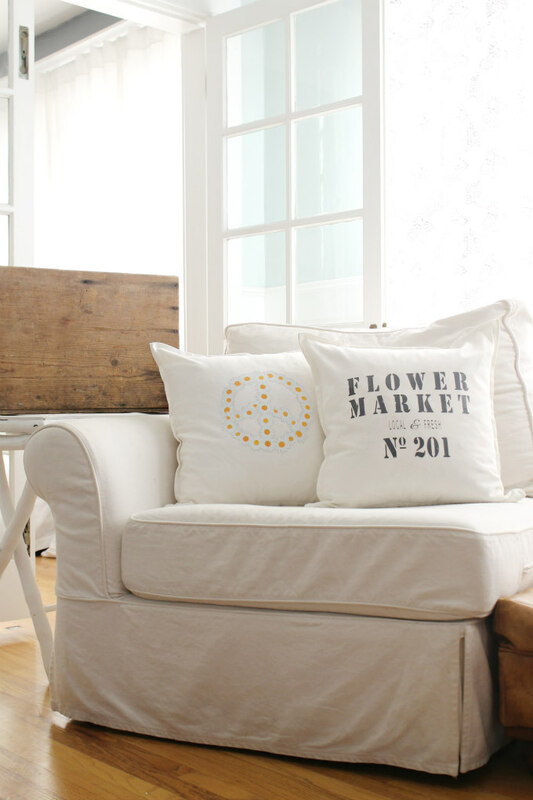 The first pillow, which happens to be my sisters favorite, is this 'Flower Market' pillow. 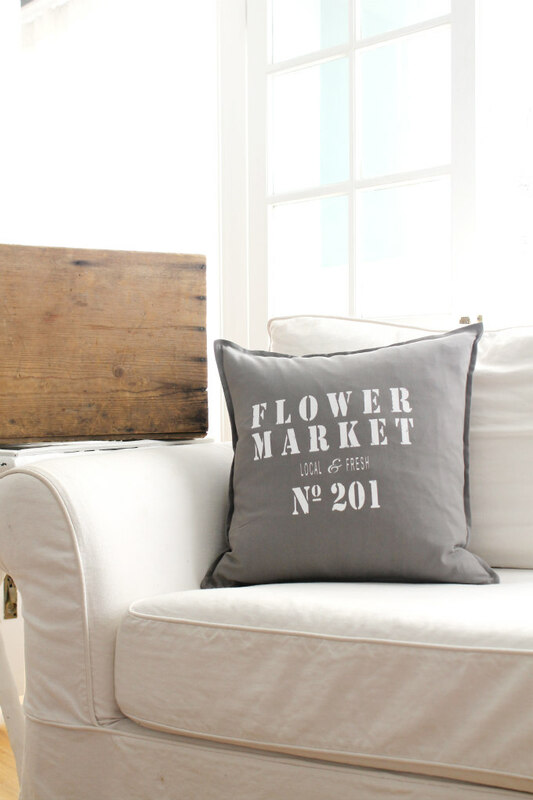 The letters are in a distressed dark gray and printed on a white cotton canvas pillow cover. 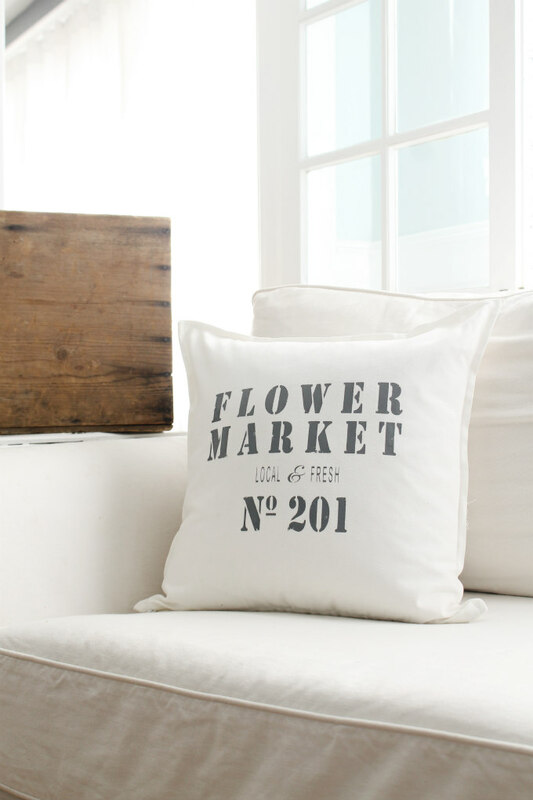 We also created this pillow in distressed white letters on a gray canvas cotton pillow cover. 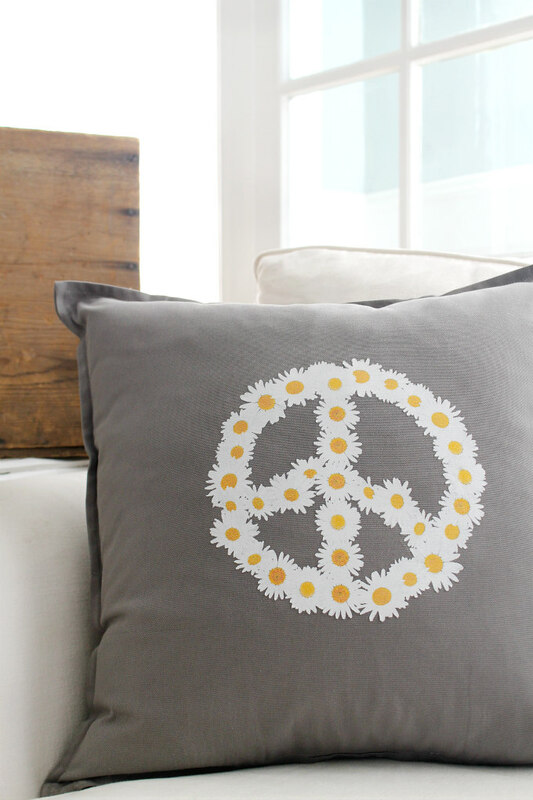 The second pillow, possible my favorite, is this adorable daisy peace sign pillow. 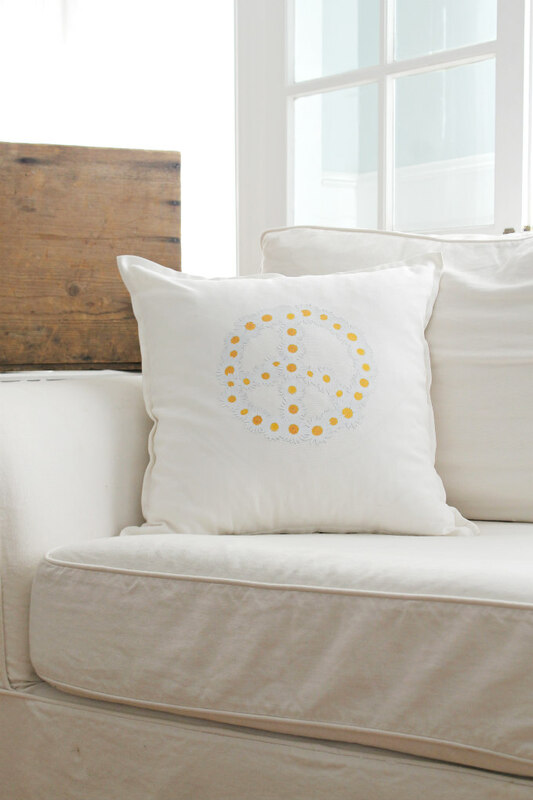 This one was made using a commercial grade heat transfer vinyl and it is also on a gray canvas cotton pillow cover. We also made one up on white. 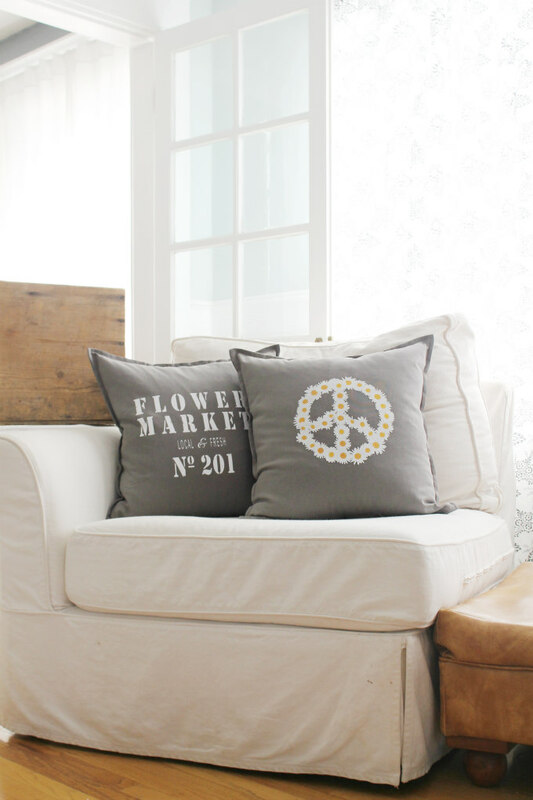 We designed these pillows so they could go together. 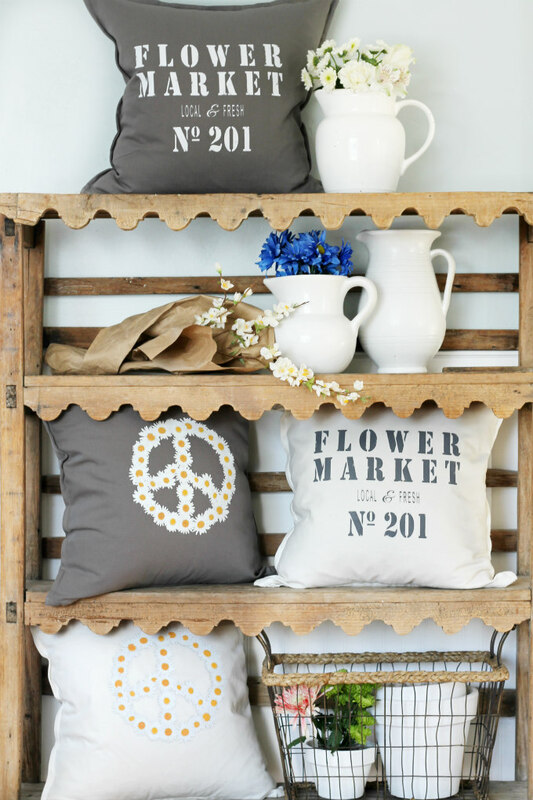 They are sold separately, but look at how cute they are when you mix and match them. 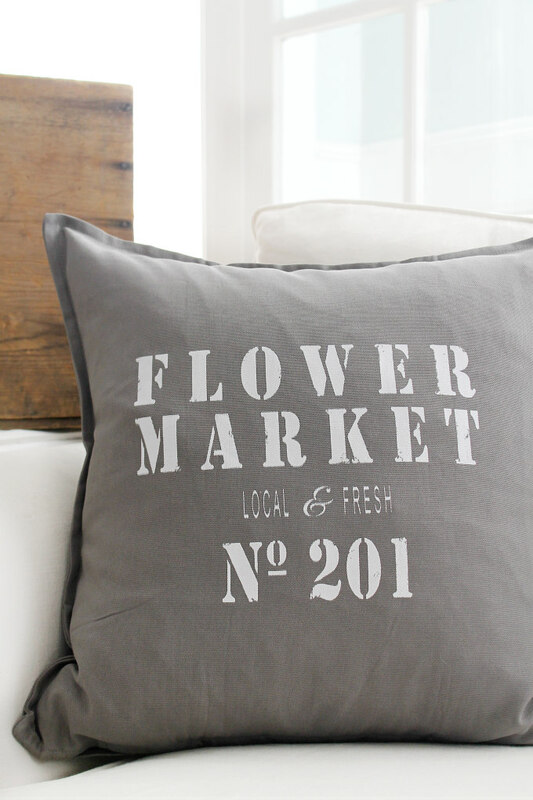 We even matched the gray letters to be the same gray as in the pillow. Or one of each. You can't go wrong, anyway you mix them they look great together. 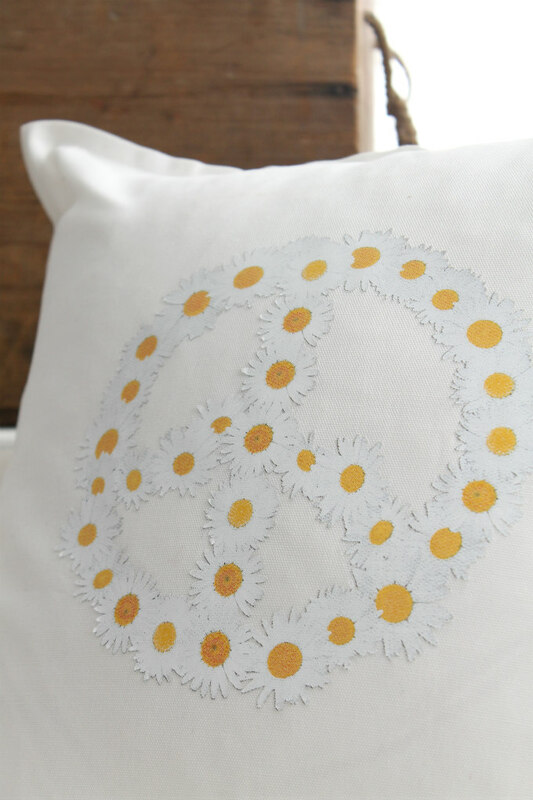 To learn more about these new pillow cover head on over to my ETSY shop. 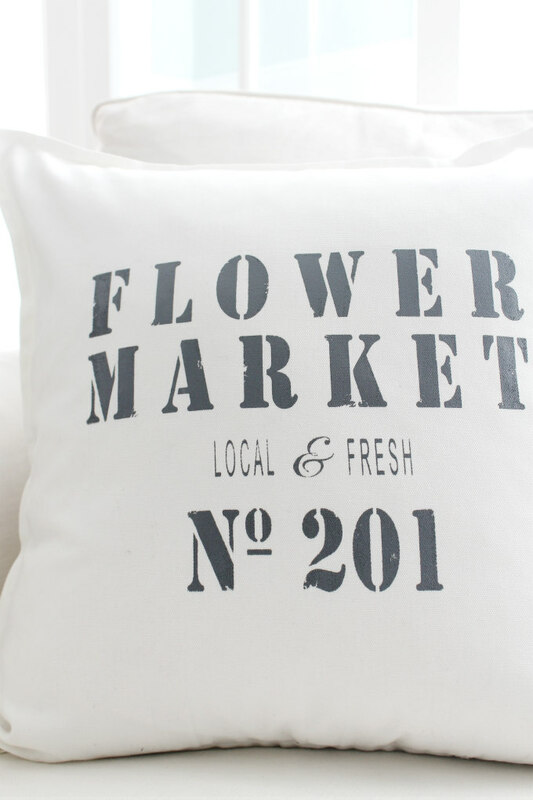 (please note, I'm selling the pillow covers only. The pillow inserts are not included). Let me know what you think! this is awesome!!!! 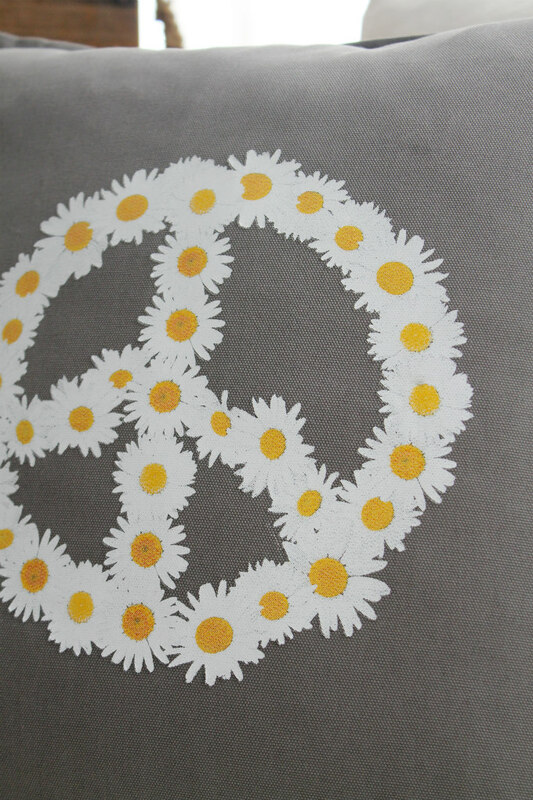 i love the daisy peace sign!